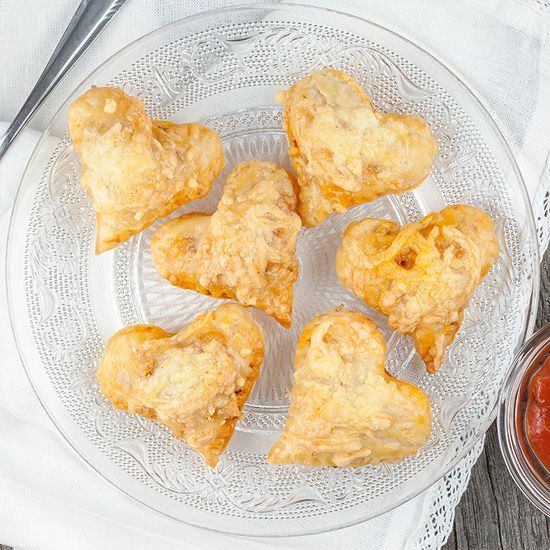 Before all the sweets arrive for Valentine's day, its awesome to also have a hearty snack in style! 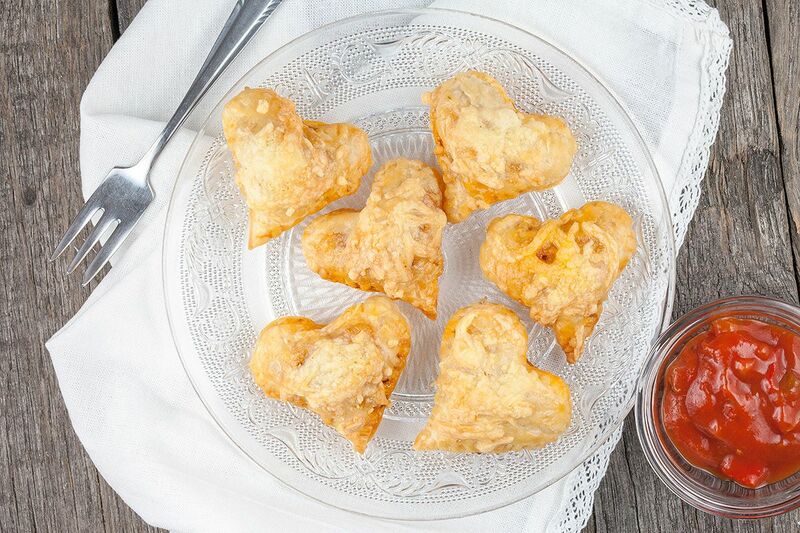 Heart-shaped puff pastry packages are exactly that, mmm! REMOVE the bell peppers seeds and chop the bell peppers in cubes as fine as you can, otherwise they won’t fit in the small heart-shaped puff pastry packages. Same goes for the rest of the ingredients! If you like a bit of kidney beans for extra flavor, roughly chop them. Finely chop the garlic clove and spring onions. HEAT olive oil in the medium-sized skillet. Saute the chopped bell peppers and garlic for 2 minutes. ADD the minced meat and try to remove all the lumps. After another 3 to 4 minutes, add the tomato paste and saute a few minutes more. Season with pepper and salt. 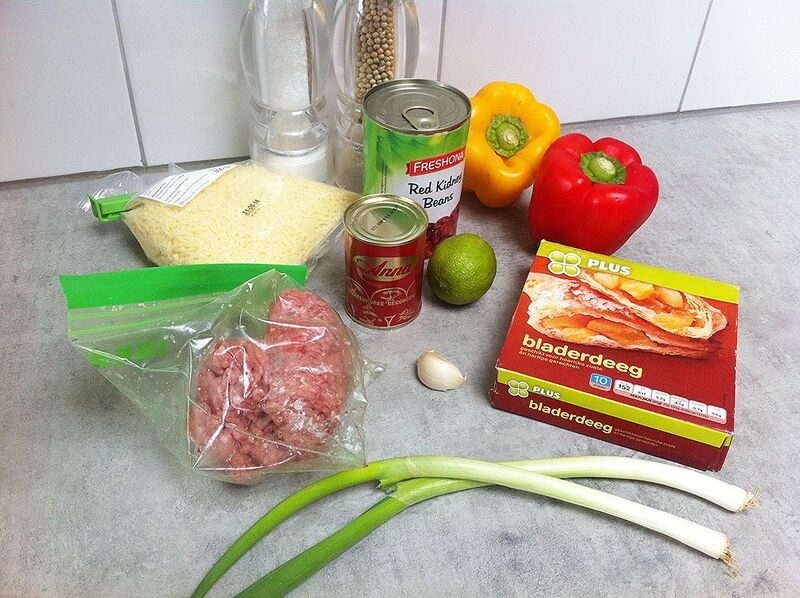 Turn off the heat and stir in the chopped spring onions, juice of half a lime and kidney beans. Let the filling cool off. PRE-HEAT the oven to 180 degrees celsius or 350 degrees fahrenheit. Lightly DUST your work surface with flour and place the puff pastry squares on top (without the plastic sheets ;)). Also dust a bit of flour on top of the pastry to prevent the rolling-pin from sticking. Now lightly roll out the puff pastry so you’ll end up with a less thick rectangle instead of a square. Repeat for the other sheets. Now get your heart-shaped cutter and cut out as much hearts as possible. Or any other shape you prefer of course. DIVIDE a little bit of the (cooled off) filling onto half of the hearts. Use a bit of water to stick a second heart on top of the filling, use a fork to close the hearts all around. Use the fork again to beat the egg and then use a silicone kitchen brush to coat the puff pastry packages. Finish them off by adding a bit of grated cheese on top. BAKE the pastries golden brown in about 20 minutes. Serve with dipping sauce if you like. Enjoy! Sounds delicious and looks very pretty.